Is a tablet due February? We've heard word of a possible Nokia tablet before, and the latest rumour says it could be announced at Mobile World Congress in February. It could also run Windows RT, just like the Microsoft Surface. Though the Surface tablet running Windows 8 should be out by then. The rumour comes from the supply chain in Taiwan, according to Digitimes. Though it is worth taking with a pinch of salt, seeing as Digitimes isn't the most reliable of sources. The Nokia tablet is said to have a 10-inch screen, with Qualcomm's S4 processor inside. It's been delayed because Microsoft surprised everyone by announcing Surface, so Nokia decided to focus on smartphones for the time being, according to Digitimes. But it's worth keeping this all in perspective. We heard rumours of a Nokia tablet before last year's Mobile World Congress, too. Though they could've been right, if the device was held back because of Surface. Back in March, Nokia's head of design Marko Ahtisaari confirmed Nokia had a tablet in the works. He told a Finnish magazine, "We are working on it." 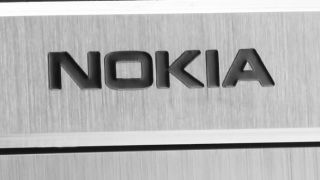 Nokia was keeping its cards close to its chest though, saying only, "We continue to eye the tablet space with interest but have made no specific announcements." Mobile World Congress takes place from February 25-28. We'll be on hand to bring you all the news as it breaks.